UrbanCincy received an internal City email with additional information behind the County Commissioner’s Metropolitan Sewer District vote that happened Wednesday. 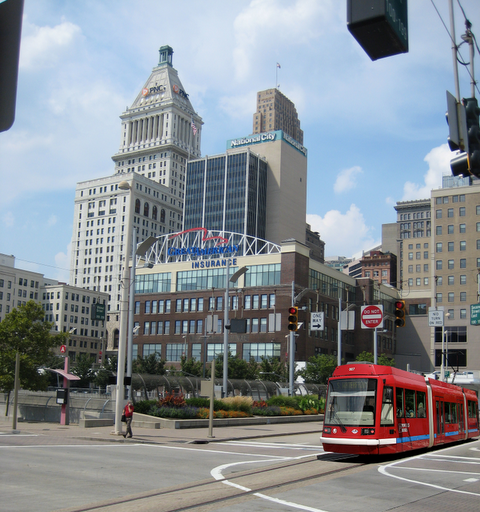 The vote was to deny any money going to the Cincinnati Streetcar project – the city proposed 3 million be given to the project to replace aging sewer systems underneath the route, in an effort to prevent more costs to be incurred later. I wanted to share some background on all of the chatter about the vote taken by the County Commissioners today. Below is a breakdown of the effects that was sent to me today. The bottomline is that the County Commissioners are sucking up to COAST. Their vote will actually make the Streetcar project cheaper, and cost MSD rate payers more money in the future when they have to pay the full cost of upgrading the sewers. But, whoever let facts get in the way of a good political argument?! 1) The actions taken today by the BOCC [Board of County Commissioners] will not stop the streetcar project. In fact, if the BOCC decides not to allow MSD to permit in the cost sharing agreement, it will actually save the Streetcar project money, as the streetcar will only pay to relocate the minimum conflicts with MSD facilities. 2) We need a final determination on whether the BOCC will participate in the cost sharing agreement within the next week. Final design for the streetcar is due November 1, and currently includes sewer design based on the assumption that the cost sharing plan will go forward as proposed. Our plan is to begin bidding the construction of the streetcar, including the sewer work, by the end of this year. If the BOCC does not participate, we will need to redesign the sewer and work to the minimum scope as well as other aspects of the design. That work must get underway as soon as possible and the longer we wait to start it, the longer we delay bidding the construction. 3) The cost sharing plan as proposed offers the BOCC and MSD to perform $6 million work of work at a tremendous discount of 50%. The MSD work proposed to be performed under the cost sharing plan is work that will eventually be necessary, as the facilities are over 100 years old. They could break anytime. Our goal is, like any other project in the ROW, to coordinate construction activities so as to dig up the streets as few times as possible. Not participating in the cost sharing plan will only ensure that the MSD work happens at greater expense to MSD ratepayers, as it will not benefit from the unique cost sharing opportunity currently presented. Likewise, it ensures that this inevitable MSD work will happen with greater difficulty, as it will need to take place in an environment in which they have to work around a functioning streetcar system. 4) The construction coordination that is being proposed under the cost sharing agreement is not new. Regardless of your position on the streetcar, the proposed plan not only represents good, efficient construction practice, but a unique opportunity to save MSD ratepayers money. Despite some of our official’s best efforts, this is the little rail project that could.